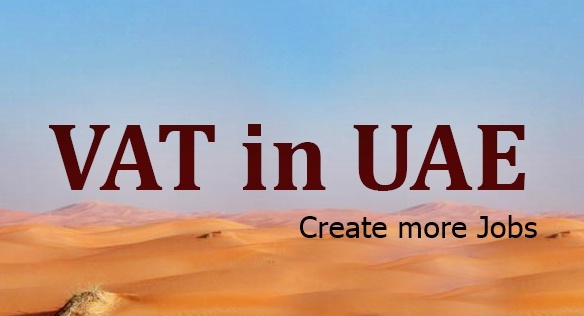 Recruitment is already underway in the UAE and the demand for accounting, finance and tax executives, as well as information technology (IT) professionals is only expected to grow as the VAT rollout draws closer. Companies will also have to deal with the challenge of restructuring their finance and IT departments, orient their existing staff and re-evaluate the knowledge and experience of resources. “The demand for accounting, tax [executives] and IT professionals will be at a premium over the next 18 months as GCC companies grapple with the requirement to prepare their systems for VAT,” Finbarr Sexton, indirect tax leader for the Middle East and North Africa at Ernst & Young (EY), said. Sexton said companies in the UAE will now have to beef up preparations for the collection of VAT, given that the schedule of implementation is only about one year and six months away. Any company that procures or sells products and services will now have to upgrade their processes and look at the different aspects of their business, from the supply chain all the way to the end customer. VAT has an impact over the full supply chain of a business from procurement all the way to marketing and sales. The most significant constraints that businesses will face include the transformation of ERP systems to incorporate VAT, designing proper processes to manage VAT and staff up with the right level of skilled personnel to manage the VAT roll out. There will be a shortage in IT implementers to do the ERP transformations and more critically, a major shortage in suitable skilled staff with knowledge of VAT and the requirements to implement VAT across the business processes. When it comes to sourcing of talent, businesses can expect some hiccups, given that thousands of other companies will also be scrambling to hire skilled professionals to help with VAT implementation. The finance ministers in the Gulf Cooperation Council (GCC) region approved during an extraordinary meeting this month the introduction of VAT across the region. Some procedural aspects will need to be taken up in another meeting, but it was made clear that the GCC states would be ready for the first phase of the VAT rollout by the beginning of 2018. Another meeting is expected to be held in October 2016, when the VAT framework is likely going to be finalised. The need to expand headcounts doesn’t mean there are jobs for everyone. HR experts said companies, for one, need to be careful when it comes to the screening of applicants. However, with the new job openings, a lot of accountants who are not qualified might find themselves displaced. “It’s safe to say that thousands will be recruited. However, a lot of accountants without relevant experience will lose their jobs because they are not qualified or experienced in the area,” Nickisch said. An IT manager at a multinational company, however, said that not every company might require additional manpower. "It's more a problem for small companies who don't have a system that supports tax. Big companies who operate in markets like Europe, United States and other areas where VAT is present, should not find it difficult to transition into the new tax system without hiring support staff," the source said. “Not only is a thorough understanding of tax implications and how they will in turn affect the product pricing, cash flow and profitability of the business a pre-requisite, but the knowledge on key concepts, such as tax refunds, tax exemptions, zero rated taxes, tax rebates, input and output taxes as well as tax treaties with other countries is important when considering any future recruitment or professional development,” Nickisch said. Younis Al Khoury, the UAE minister of finance had also announced that businesses in the country that have annual revenues of more than Dh3.75 million “will be obliged” to register under the GCC VAT system. On the other hand, companies that make annual sales revenues between Dh1.87 million and Dh3.75 million “may elect as an option” to register for VAT during the first phase, hence, there is a possibility that not every single company in the UAE will be able to register on time and start collecting VAT on January 1, 2018. The Ministry has introduced a lower sales revenue threshold that will allow small to medium sized businesses to register for VAT. These businesses are unlikely to register in the first phase of the VAT introduction. For unregistered businesses VAT therefore becomes a real cost of doing business and impacts profit margins and will make such businesses uncompetitive compared to their larger trading partners and competitors.